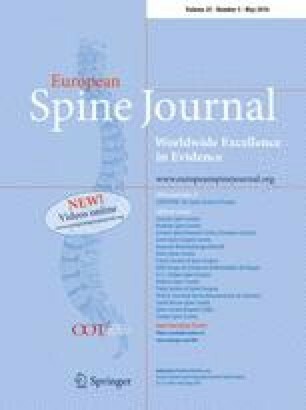 The aims of this study were to assess lumbar multifidus fatigue (LM) and transversus abdominis activation (TrA) in individuals with lumbar disc herniation associated with low back pain. Sixty individuals were divided into the lumbar herniation (LHG, n = 30) and control groups (CG, n = 30). Fatigue of the LM was assessed using surface electromyography during the Sorensen effort test, and activation of the TrA with a pressure biofeedback unit. Pain intensity was determined using a visual analog scale and the McGill pain questionnaire. The Oswestry disability questionnaire and the Borg scale for self-evaluating exertion were used to assess functional disability. Fatigue was significantly more intense and the TrA activation was insufficient (p < 0.01) in individuals with disc herniation relative to the control group. The LHG had mild functional disability and moderate pain. There were differences in the initial exertion self-evaluation between groups, which were not observed in the final exertion evaluation. Individuals with lumbar disc herniation associated with low back pain have increased fatigue of the LM and decreased activation of the TrA, when compared to the control group. This study had the Public Financial Support of: Coordenação de Aperfeiçoamento de Pessoal de Nível Superior (CAPES), state of Sao Paulo, Brazil. Financial disclosure statements have been obtained, and no conflicts of interest have been reported by the authors or by any of the individuals who are responsible for contents of this article. The Public Financial Support of Coordenação de Aperfeiçoamento de Pessoal de Nível Superior (CAPES) supported this study. The authors report no conflicts of interest.